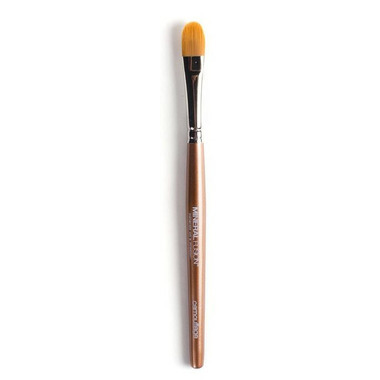 Use this brush to apply concealer to under-eye area, or to spot treat hyper-pigmentation. It's small tip and flat design make it perfect for precise application. I am so happy I got this brush. I was on the fence about buying it because I normally just use my finger, and I thought it was working fine. But it does a MUCH better job than I do! It is soft, but also shaped nice and firm, allowing the concealer to actually stay where you want it. Great investment, worth every penny! I use it with the Mineral Fusion concealer.